Results for Product Code "647871-B21"
Is finding reliable DRAM memory for your HP ProLiant Server series in your data center a major challenge? When you choose HP SmartMemory you get the same high quality, reliability, and confidence that come with your HP ProLiant Gen8 Server series. DRAM quality and reliability are more important now than ever. Industry trends such as server virtualization, cloud computing, the use of large database applications, and high-performance computing have all increased the need for higher capacity memory with greater reliability and uptime. 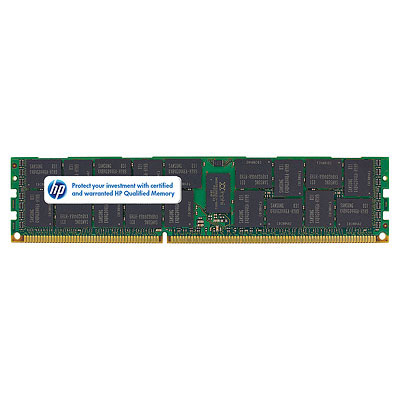 HP SmartMemory is a unique technology introduced for ProLiant Gen8 Servers that unlocks certain features available only with HP Qualified Server memory. HP SmartMemory enables ProLiant Gen8 systems to reliably identify and verify whether installed memory has passed the rigorous HP qualification and testing processes. And because the memory is authenticated, you can enable extended memory performance features through the system ROM.